Janet Katz and Vicky Sattler, l-r, are working on a tool to measure cultural competency among health care providers. “If you’re providing health care to someone who has a different view or culture than you, you want to be able to respect them, provide them with care that feels safe to them,” she said. Research has shown that patients who feel comfortable with their health care provider in that way are more satisfied with their care, which leads to better health outcomes. 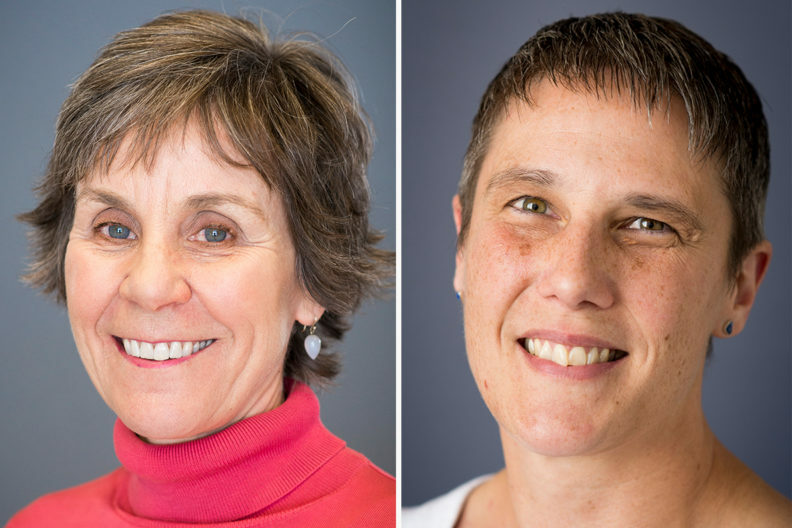 Katz and Vicky Sattler, an instructor at the WSU College of Nursing, are working with Dula Pacquiao, of Rutgers University’s School of Nursing, on a tool to measure cultural competency among health care providers from the patient’s perspective. Cultural competence, or cultural sensitivity, is part of the curriculum for most health care professions. The difference in the work being done by Katz, Sattler and Pacquiao is that they’ll tackle the issue from the patient’s point of view, Katz said. “Nursing is really good at that, asking people what they need and want rather than taking a paternalistic view,” she said. Respect is the bedrock of cultural competence, Katz said, along with listening and trying to learn about the other person. They’ve developed a survey based on 50 years of theory and are sending it to a panel of experts. Next will come revisions, then a pilot project. The measuring tool could lead to further research, Katz said. That might include measuring the cultural competence of health care providers on a broad scale, or comparing how a provider sees his or her cultural competence compared with how their patient sees it. “I can think of a lot of research questions you can ask related to this,” Katz said.